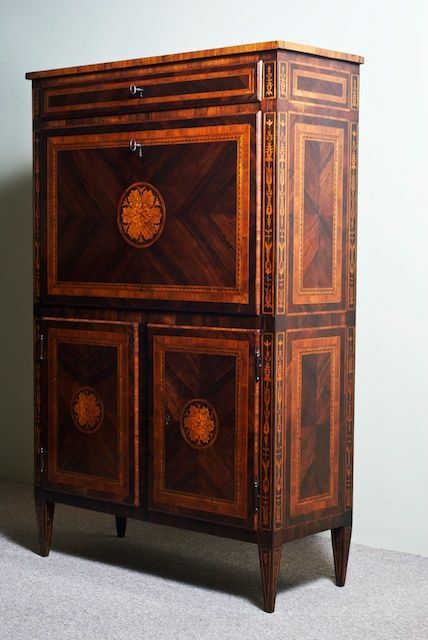 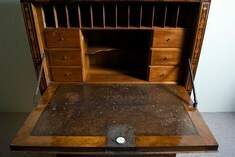 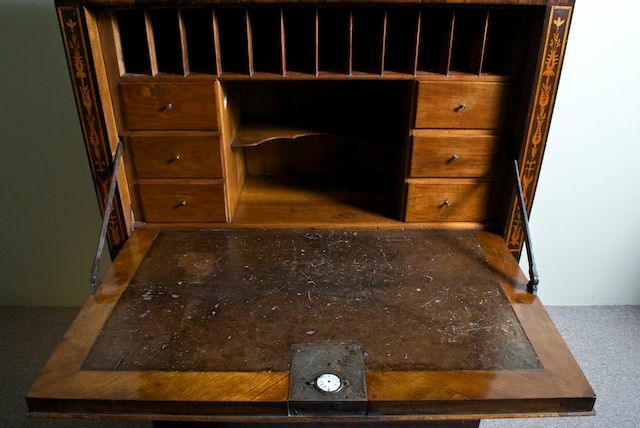 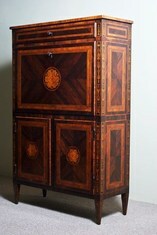 Fine late 18th century kingwood secretaire abbatant, in the manner of Giuseppe Maggiolini. Profusely inlaid with Neo-Classical decoration in various woods. 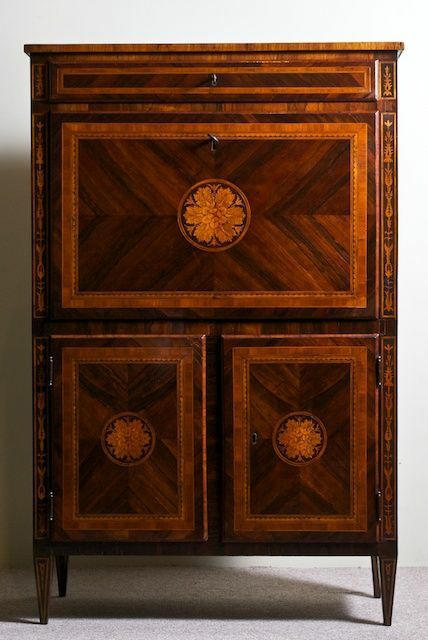 Italy circa 1800.